It sounds like the console port of The Witcher 2: Assassins of Kings, one of the top-role playing games as a PC-only release in 2011, will need a hard drive installation. Otherwise, well, enjoy the slow loading times and janky visuals, says the game's studio. "If it's possible to install the game [then do so], because the streams will be faster, you'll experience some better visual quality, because the hard drive is much faster than any media," Marek Ziemak, a level artist for CD Projekt RED (the game's studio) told Eurogamer. "It will improve loading times, it will improve the quality of the meshes, probably also because we have faster streaming means faster movement between memory and hard drives, so you'd be able to load the good chunks and then just change them directly from your hard drive." 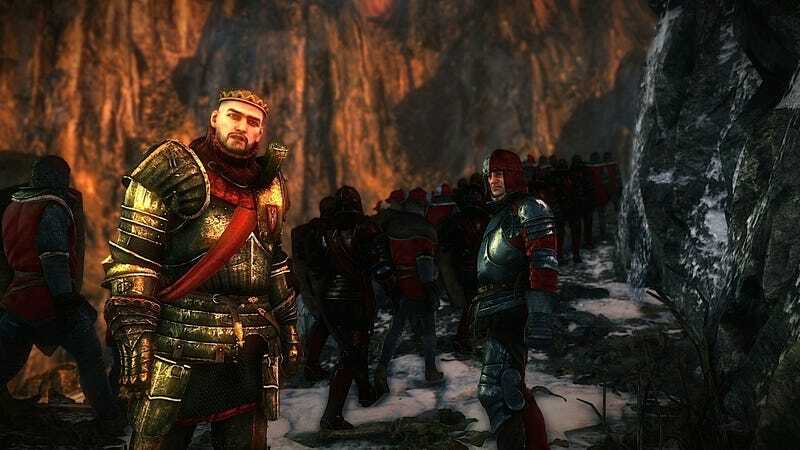 The Witcher 2, the first console release for the series, arrives in the middle of next month.